We’ve all been there – starting at the half empty carton in the fridge. The eggs are about to go bad, and you’re not sure what to do with them except throw them away. Personally, I don’t like tossing extra eggs if I can help it, and I’ve spent a lot of time researching and testing unusual ways to repurpose them. And I’ve discovered that there’s a LOT you can do with extra eggs! 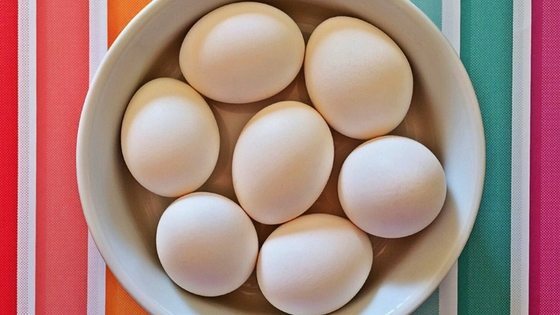 In this article, I’m going to show you how, with a little bit of preparation, you can save extra eggs and reuse them in several ways in your home. Use egg whites as a glaze for breads, muffins, and pastries. Adds a glossy sheen and helps keep toppings such as herbs or sesame seeds in place. Add egg yolks to soups and sauces to thicken them. Wait until the soup is relatively cool so the yolks don’t cook & scramble – unless you’re making egg drop soup, in which case you want the eggs to cook! Homemade mayonnaise tastes much better than the store bought stuff – and you can be sure it’s made with fresh, organic ingredients. Mix egg yolks with a blender, and gradually drizzle olive oil a few drops at a time while blending constantly. Add vinegar to taste until mayo is white and creamy. If you want to ferment the mayo for extra nutritional benefits, this article will help you out. If your coffee mugs are stained from tea or coffee, use eggshells to remove tem. Grind up eggshells and sprinkle them in the mug. Add warm water until a slurry is formed. Leave to soak overnight. If the stains aren’t fully removed by morning, repeat until the stains are gone. Separate egg whites & yolks. Freeze egg whites to use in meringues or to shine bread as needed. Mix yolks with a pinch of salt or sugar to keep them moist when you defrost them (freezing tends to dry yolks out). Note which yolks have salt or sugar so you can use them in an appropriate recipe. You can also freeze yolks and whites together (scramble them first), and use in recipes as needed. Separate whites from yolks (or use the frozen whites from above!) and whisk with a ¼ tsp of water. Add your favorite nuts, coating them with the egg mixture. Remove nuts and sprinkle with cinnamon and sugar. Bake at 250 degrees F for 45 minutes (keep an eye on them so they don’t burn). Use a spatula to turn them regularly to they bake evenly. Enjoy! Love smoothies? Want them to be even more smooth? Add egg whites! Whisk them until they’re frothy and fluffy, and use up to 2 tablespoons per 8 ounces of smoothie. You’ll have to play with it a bit to see what tastes best to you. The egg whites will give your smoothies a silkie texture. You can also use them in alcoholic drinks. Eggshells are an excellent source of calcium and other micronutrients. Add them to smoothies or other drinks to meet your daily calcium requirements. To make eggshell powder, first spread the shells on a cookie sheet. Bake them at 350 degrees F for 10 minutes. Once they’ve cooled, process them until they’re completely ground. Store in the fridge and use within 3 weeks. Only use about ¼ tsp per 8 ounces of drink (20 or so shells will make about ½ to 1 cup of powder). If you can’t make it through all the powder in that time, you can add the remainder to your compost bin, your garden, or feed to your chickens. (For other animals such as dogs and cats, check with your vet first). I make and cook French toast any extra gets cooked too. I put 1-2 slices into sandwich bags and freeze them. Since they are already cooked you can pop them into the toaster, and Walla breakfast!! When looking for a way to use up both cherries and eggs I found a recipe for cherry clafouti, which we’ve been using ever since. It works for breakfast, snack or dessert. I cook up whole eggs or my pups. The big dog gets two the smaller gets one. I mix them in with their kibble. We scramble up the “extras” for our flock as a treat. We also use the egg shells to help clean our garbage disposal. (Once a month with 2 eggs). If there is still too many eggs, they get added in the garden to help fertilize the soil.